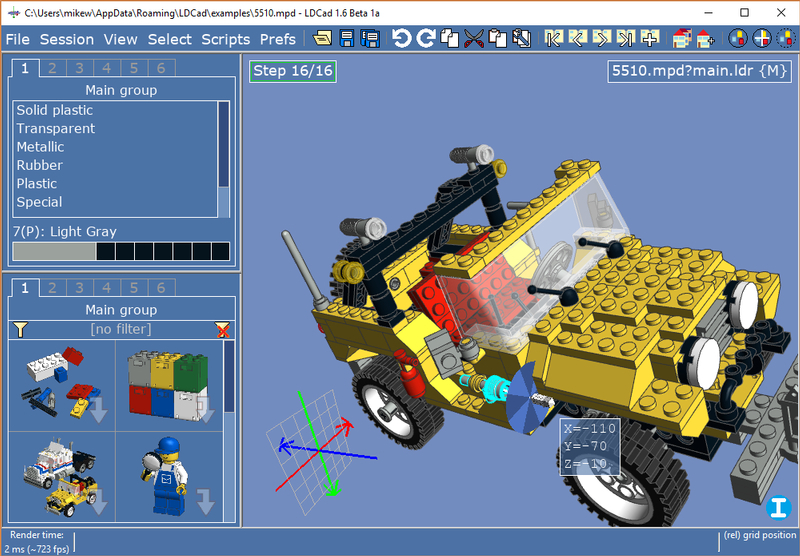 LDraw is an open standard for LEGO CAD programs that allow the user to create virtual LEGO models and scenes. You can use it to document models you have physically built, create building instructions just like LEGO, render 3D photo realistic images of your virtual models and even make animations. The possibilities are endless. Unlike real LEGO bricks where you are limited by the number of parts and colors, in LDraw nothing is impossible.